More than 8,000 human research studies prove the undeniable benefits of fish oil. So why do many people still fail to notice any of the benefits? report…it could save you hundreds of dollars and years of good health. For the last several decades, we’ve been brainwashed into believing that a low-fat diet is the only way to avoid disease and maintain an ideal weight. Thankfully, thousands of scientific studies have now proven that this idea is not only wrong, it’s outright dangerous. While it’s true that some fats are bad for you, there are others that your body simply can’t function without. The most prominent of these are omega-3 fatty acids. Omega-3s are crucial for supporting your heart, your immune system, your brain, and pretty much every other cell, organ, and system in your body because of their incredible anti-inflammatory and antioxidant powers. And though your body can produce many of the nutrients that it needs, omega-3s (especially it’s derivative fatty acids, EPA and DHA) aren’t among them. Therefore, you must get them from food sources such as fish, crustaceans, and certain nuts and seeds. 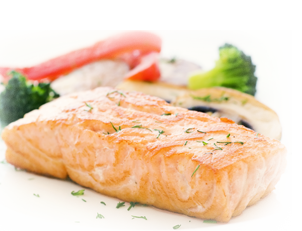 Most people simply don’t eat enough fish to meet their omega-3 needs. And even if you did, you run the risk of dangerously polluting your body with toxic chemicals like mercury and PCBs. For that reason, fish oil supplements have become booming business over the last few years. But you may want to think twice about where you’re getting your fish oil from... especially when you read about this new warning. 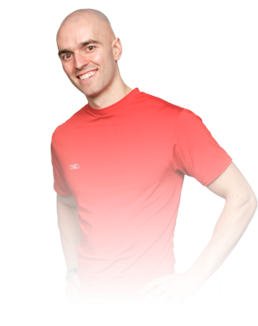 My name is Yuri Elkaim and for 13 years now I've helped more than 70,000 people live healthier and fitter lives. As a Registered Holistic Nutritionist and High Performance Health Coach, I'm very passionate about health and quality nutrition. I believe that you deserve the best and "unbiased" health information to support your health journey and I’m fed up with the erroneous health claims and misleading news reports that leave your head spinning with questions. And nowhere has this been more evident than with fish oils. That’s why on this page you’ll uncover the real truth behind fish oil and how to ensure that you’re getting the right one for you. Fish oil is now one of the most popular dietary supplements on the market, with sales soaring past $1 billion annually. However, neither the FDA nor any other federal or state agency routinely tests fish or marine oil supplements for quality. And problems with quality have been identified in numerous tests by independent researchers of marketed supplements containing fish oils. These problems include contamination, inaccurate listing of EPA and DHA levels, spoilage and formulation issues. So with all the hype about fish oil, what are you supposed to believe? How do you know for sure that the fish oil you’re taking or considering taking is actually “good”? Plus, did you know that many supplement companies use a form of fish oil that is barely even absorbed by your body?!? Simply because it’s cheaper. Meanwhile, a select number of reputable brands insist on top-notch processing and formulations that have been shown to increase omega-3 absorption by more than 37%, according to 2010 study. But to the everyday person, these subtle differences are almost undetectable unless you know exactly what to look for. Sadly, no one is showing you how. Which means that right now you could be wasting your hard-earned money every month on a fish oil that is either rancid or that your body doesn’t even absorb! Until now thanks a brand new report called “Fish Oil: Your Unbiased Guide to Choosing the Best Omega-3 Supplement”. Being the health conscious person that you are these types of headlines can be frustrating and make you question the value of omega-3 fats in spite of over 8,000 other studies showing their undeniable benefits. Yes, it’s infuriating and completely misleading! This ONE study (published in the Journal of the American Medical Association) crated a storm of misleading news headlines that occupied the top rankings all over the Internet, irresponsibly causing millions of people to question the health benefits of fish oil...and omega-3s in general. But what’s buried deep below the headlines is that the researchers actually did find that fish oil protects the heart. The researchers noted that supplementing with omega-3s lowered the risk of heart attacks by 11% and sudden death by 13%. They also noted that numerous other studies have found that omega-3s can help to lower triglycerides, reduce platelet clumping, lower blood pressure, and prevent arrhythmias. Some supplement companies even used that misleading news to boost the marketing of their own “house blend” of essential fatty acids. However, upon deeper investigation I found that their concoctions contained almost 10x more omega-6s than omega-3s. Considering that we already consume far too much omega-6 - a highly inflammatory fat - the last thing we need is more omega-6s from soybean, safflower, or sunflower oil. These are the very oils that have sparked a health epidemic across the world. The Harvard School of Public Health found that omega-3 deficient diets cause up to 96,000 preventable deaths annually in the United States alone. This is even more deaths than from high trans fat intake. The average American diet is severely deficient in EPA and DHA - which are derived from omega-3s. And the only realistic way to get these vital long chain fatty acids is by supplementing with a good quality fish oil. 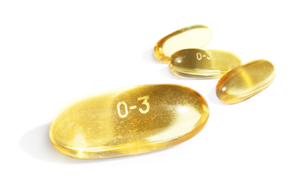 Choosing The Best Omega-3 Supplement"
Why omega-3 fats are crucial for good health. The problem with relying on plant oils - like flax - for your omega-3 fats. Why some brands of fish oil can hardly be digested and absorbed compared to the rest. 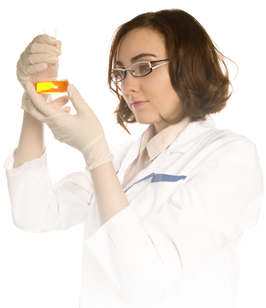 Safety concerns with a particular processing form of fish oil. Shocking findings behind why 24 of 32 fish oil brands investigated by third party laboratory testing failed to get approval. 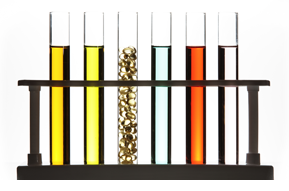 Why not all fish oils are completely free of heavy metals and how to know which ones are. The best source of omega-3 for vegans who don’t want to supplement with fish oil. The answer to the age-old debate – is krill oil better than fish oil? The surprising truth about fish oil’s health benefits compared to eating real fish. 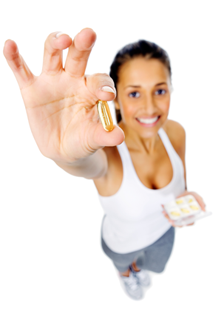 My TOP 2 recommendations for high-quality fish oil – you cannot go wrong with either of these. 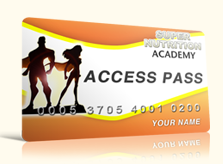 A FULL MONTH ACCESS TO SUPER NUTRITION ACADEMY! To sweeten the pot even more, I've got an extra FREE bonus for you! When you grab your copy of my new fish oil report right now you’ll also receive a full FREE month access to Super Nutrition Academy so you can equip yourself with the BEST health and nutrition knowledge on the planet. Because Super Nutrition Academy is the ONLY online nutrition course that makes it easy to understand and master your diet and health with just 1 hour of learning per week, I want you to end your confusion and information overload and finally get solid answers to your most pressing nutrition and health concerns. If you decide to keep your Super Nutrition Academy membership I’ll even ensure that you receive a 21% discount on your tuition thereafter – guaranteeing you a special monthly tuition of only $37 (even if we raise the price in the future). And we’ll only bill you once your first 30 days of FREE access are up. If you decide before then that that you do not want to continue with SNA just let us know and we’ll discontinue your subscription so you never pay a cent. $7 puts the report within reach of the vast majority of people. It's not too expensive for even the humblest beginner. I figure if you're even kind of serious about bettering your health you will invest$7 into this report and enjoy the wisdom and clarity it will provide. Anyone who is not serious enough to put down the price of a fast food burger and buy this report, I really can't even understand. The best part about all this is that I’m 100% convinced this report will give you clarity and confidence the next time you decide to buy fish oil (or not). 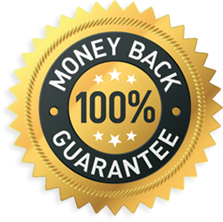 In fact, I’m so sure that I’ll even back it up with a full 60-day money-back guarantee. That means you’ve got the time to read through this report before you decide whether you’re happy with the results. And if for some reason this fish oil report doesn’t work for you just let us know and we’ll be glad to give you a full refund of your purchase – no questions asked. Not only is this special offer an amazing deal, but it’s totally RISK-FREE. A tiny investment of $7 promises to help you make better fish oil (and supplement) decisions forever. And even that small investment is backed by our 100% satisfaction guarantee! As the saying goes…"A man who represents himself in court has a FOOL for a lawyer", and we all know that people who don't read the instructions eventually SCREW things up. Get help before you try to figure out this important health topic on your own, or you could screw up big time; and when a full plan is only $7 bucks, you'd be pretty crazy not to grab it. Either wing it and take your chances spending countless hours scouring the web for answers and wasting more money or ineffective supplements OR get this report; otherwise you're sure to make POTENTIALLY FATAL mistakes in ways you haven't even thought of yet. This TINY $7 report is the only thing standing between you and a smarter and healthier version of YOU. P.S. Remember, there is more real actionable information in this TINY report than you'll get reading a dozen books. In fact, most of what you’ll learn inside isn’t even accessible on the web. And it's 100% guaranteed so you can't possibly lose money. NOTE: This is a digital download in PDF format. No physical products will be shipped to you. 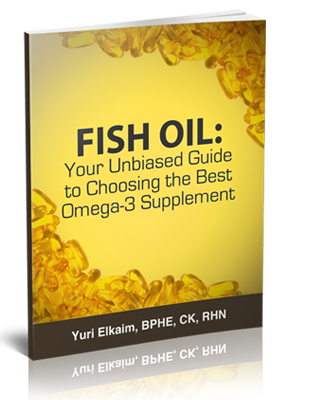 Upon purchase, you’ll be directed to a special page to download the “Fish Oil: Your Unbiased Guide to Choosing the Best Omega-3 Supplement” report. Your Peace of Mind & ZERO-RISK Guarantee! If you don't enjoy more peace of mind and confidence in making a smarter decision about fish oil after reading this report, then you don't pay a penny. That's right - I'm giving you a full 60-day money-back guarantee, which means you've got the time to read through this report before you decide whether you're happy with the results. If for some reason this fish oil report doesn't meet your expectations, then I'll send you 100% of the purchase price back. No questions asked. No long wait for your money. So go ahead - you have nothing to lose and everything to gain.